The "easy" way to measure rainfall electronically is with a "tipper" device. Rain from a known horizontal area is collected with a funnel. It falls in a tiny waterfall onto something like a little see-saw with a piece of roof gutter on it's upper side. The "roof gutter is divided in the middle by a vertical septum. As the rain dribbles into the gutter, it begins to collect on the uphill side of the see-saw. When enough has collected, the see-saw tips. Now the septum has moved, and newly fallen rain collects in the other, now upper, side of the see-saw. When enough has collected... and so on. Connected to the see-saw is a magnet. As the see-saw tips, the magnet passes by a reed switch. The openings and closing of the reed switch reveal the rainfall to whatever you connect it to. The rainfall measurer that I recommend, in the "serious hobbyist" range, is the "Rain collector" from Davis Instruments. The "mouth" is about 16cm (7") across. One pulse from the tipper arises for each 0.01" of rainfall. Okay... it does cost $85 (plus p&p, 1/17).. but, for what you get, and the difficulties of making your own, I consider that a very fair price. I've had one up on a roof in New England weather for years, no hassles. The illustration on the right is my rain gauge. The screen over the top compromises the detection of light showers... but it also saves me clearing leaves and pine needles! As with all weather sensors, spend the time to make anything right once. The screen is mounted to a collar, easily removed for cleaning. Note also that the whole sensor is mounted on a little "table" on "feet" of threaded rod. Nuts and washers make getting the table LEVEL easy. Worth the hassle. An excellent one was available from AAG. It is the one once sold by Dallas, as a demo to promote its 1-Wire chips. You may find it at eBay from time to time. 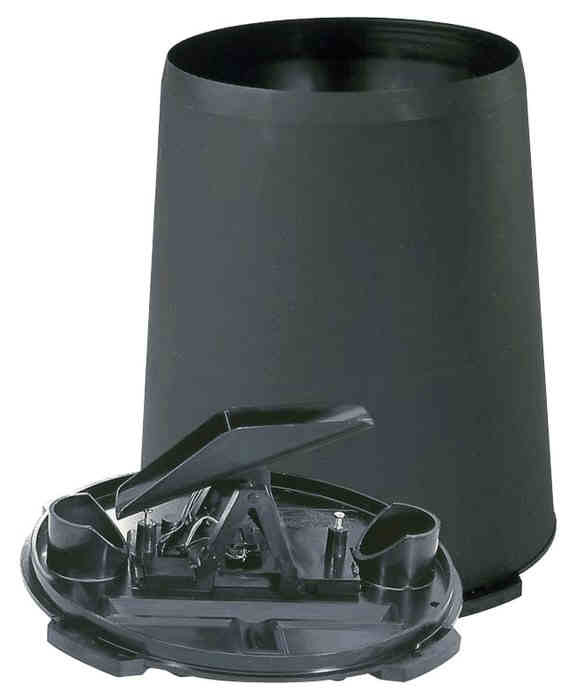 The hobbyist weather sensor array from Argent Data Systems has a tipping bucket sensor, an early version of the Lacross product, I believe. I'm told that the "standard" collecting funnel, as mandated by the US Weather Service has an 8" diameter. See also: Calculating "inches of rain". Colder climes: If you have below freezing periods, it is an interesting challenge to fit your "rain" fall collector with something to warm it, turn snow to rain, and find out how much has fallen that way. See my page about measuring snowfall if you are interested other answers. 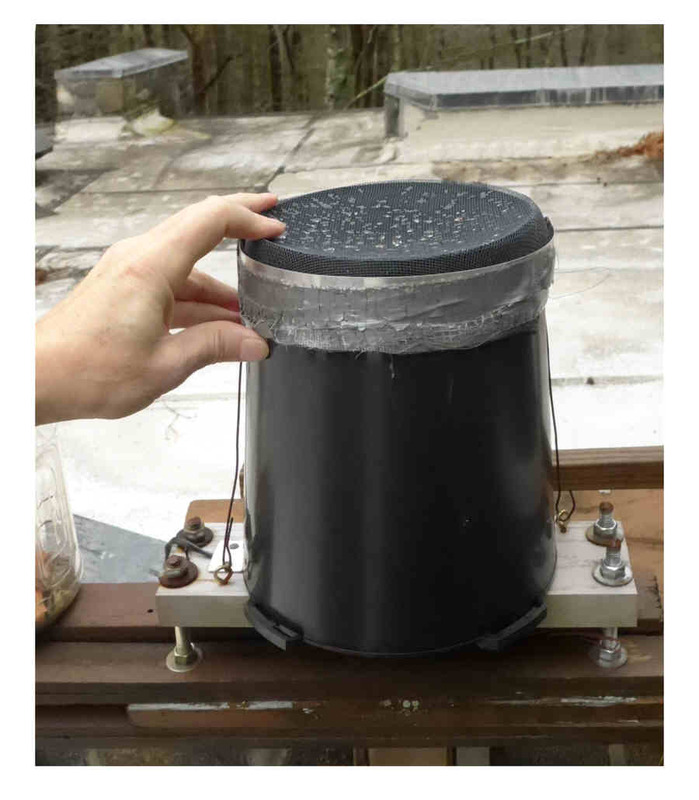 Rainfall collectors are especially vulnerable to problems arising from debris (leaves, etc) and the activities of arthropods. If you put a screen over the top, you will, in each rainstorm, "miss" some of the rainfall. This page is meant for hobbyists. A lot of pleasure (or inspiration to improve your design!) can be had from comparing the results your electronic rainfall monitors record with the results of a simple traditional rain gauge. You may want to check other pages of this site for things which might have appeared on this page, but were either mis-sited or had a more general relevance. In particular, look at what I said on the page about counters.